High Street Phoenix has truly put Mumbai on a pedestal with Palladium, the city?s first luxury and premium retail and entertainment destination. Palladium, India?s first and only true lifestyle destination strategically located at High Street Phoenix, Lower Parel, Mumbai presents an environment that spells refined elegance, while shoppers soak in the retail offerings, restaurants, cafes, spas and more! 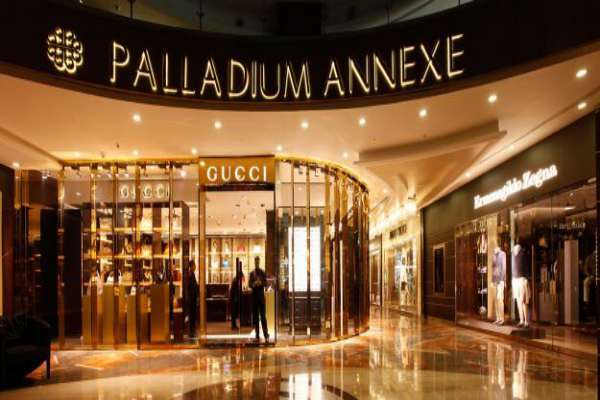 What makes Palladium so irresistible are the four levels of exceptional shopping in an atmosphere of sophistication and refinement under one elegant roof. Its unique design expression makes the mall a striking structure in the architecture of the city that never sleeps. Palladium has become a landmark already. The retail and lifestyle mix of the mall comes alive with the luxury labels, high fashion brands, cafes, fine dining restaurants, a stand-up comedy venue, spas and salons it houses. This truly one of its kind luxury retail space in India also provides for special services such as a concierge desk, Wi-Fi and valet parking for all visitors.